Over this past summer, I contacted a non-profit organization based in Tangier, Morocco. The group helps at-risk youngsters and women with children to learn skills such as cooking, weaving, and pottery making. Their members provide short-term preschool for children of families with little income. I wanted to share the love I have for nature with the children of the organization by developing nature-based programs I could present to them. Having conducted such programs as an assistant naturalist at Hidden Oaks Nature Center, I was more than ready to share this love of nature with children in Morocco. After exchanging emails with the organization’s leader and confirming the volunteer work I would be doing, I packed. Luggage, a couple of teaching materials, and my hopes set off to North Africa. Shortly after arriving, the organization scheduled a time for me to meet my new students, and so came the day where I joined 21 beautiful children between the ages of four and six sitting at a table. Their teacher introduced me in Darija, or Moroccan Arabic. In turn, they greeted me with a “Sbah al khayr,” which translates to “Good morning!” What a joy to meet such resiliently radiant children! The language barrier only slightly befuddled things, and we quickly picked up speed with hand gestures, facial expressions and body language. The teacher and I agreed I would either teach the lesson in Spanish, my native language, or English, and she would translate it into Darija. I planned my first lesson on basic plant studies. We would learn how seeds grow, create arts and crafts, and conduct small experiments. From that day forward our bond grew strong. The very next day they hugged me and called me ‘Teacher Cesia’ in Darija as I entered the classroom, which was sweet to hear. We continued our nature lessons and projects. Most of these children had never been part of activities such as experimenting with food coloring to observe how plants take up water, or watching how a seed wrapped in wet paper towels can grow in a clear bag that’s kept under sunlight. I wanted them to be as hands-on as possible. For example, when the seeds began to germinate, I encouraged them to hold or touch the growing stem and leaf to reinforce how a plant grows. For a month and a-half, we learned about animal habitats, mammals, made animal finger puppets, painted, worked on art projects, and played bingo. All in all, the experience was more than wonderful. Thinking back, the most memorable lesson I learned from volunteering is that when you share your heart and passion for things you care about with others, not only do they benefit from learning and discovering new things, but you learn and discover new things about yourself too. I wish nothing but the best for these children and hope their love and curiosity lead them to a bright future! Author Cesia Lobo is an Assistant Naturalist at Hidden Oaks Nature Center in Annandale, Va. This entry was posted in Uncategorized on October 6, 2017 by Fairfax County Park Authority. 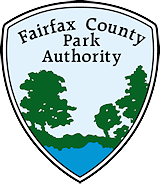 About Fairfax County Park Authority HISTORY: On December 6, 1950, the Fairfax County Board of Supervisors created the Fairfax County Park Authority. The Park Authority was authorized to make decisions concerning land acquisition, park development and operations in Fairfax County, Virginia. To date, 13 park bond referenda have been approved between 1959 and 2016. Today, the Park Authority has 427 parks on more than 23,000 acres of land. We offer 325 miles of trails, our most popular amenity. FACILITIES: The Park system is the primary public mechanism in Fairfax County for the preservation of environmentally sensitive land and resources, areas of historic significance and the provision of recreational facilities and services including: •	Nine indoor RECenters with swimming pools, fitness rooms, gyms and class spaces. Cub Run features an indoor water park and on-site naturalist •	Eight golf courses from par-3 to championship level, four driving ranges including the new state-of-the-art heated, covered range at Burke Lake Golf Center •	Five nature and visitor centers. Also nine Off-Leash Dog Activity areas •	Three lakefront parks including Lake Fairfax, Lake Accotink and Burke Lake, with campgrounds at Burke Lake and Lake Fairfax. The Water Mine Family Swimmin’ Hole at Lake Fairfax, Our Special Harbor Sprayground at Lee as well as an indoor water park at Cub Run RECenter •	Clemyjontri Park, a fully accessible playground in Great Falls featuring two acres of family friendly fun and a carousel, as well as Chessie’s Big Backyard and a carousel at the Family Recreation Area at Lee District Park •	An ice skating rink at Mount Vernon RECenter and the Skate Park in Wakefield Park adjacent to Audrey Moore RECenter •	Kidwell Farm, a working farm of the 1930s-era at Frying Pan Farm Park in Herndon, now with historic carousel •	Eight distinctive historic properties available for rent •	A working grist mill at Colvin Run in Great Falls and a restored 18th century home at Sully Historic Site in Chantilly •	A horticulture center at Green Spring Gardens in Annandale •	Natural and cultural resources protected by the Natural Resource Management Plan and Cultural Resource Plans, plus an Invasive Management Area program that targets alien plants and utilizes volunteers in restoring native vegetation throughout our community •	Picnic shelters, tennis courts, miniature golf courses, disc golf courses, off-leash dog parks, amphitheaters, a marina, kayaking/canoeing center •	Provides 263 athletic fields, including 39 synthetic turf fields, and manages athletic field maintenance services at 417 school athletic fields. PARK AUTHORITY BOARD: A 12-member citizen board, appointed by the Fairfax County Board of Supervisors, sets policies and priorities for the Fairfax County Park Authority. Visit https://www.fairfaxcounty.gov/news2/social-hub/ for Fairfax County Government's Comment Policy. Wonderful article Cesia. I love how your passion for nature was shared with these children and they certainly will remember this experience for the rest of their lives! Who You Gonna Call? Archaeology and Collections!